Japanese teen wearing all black in Harajuku. Harajuku girl wearing a black band T-shirt and bright yellow flared pants. Pink-haired Harajuku guy sporting a monochrome ensemble with black beret, suspenders, hoop earrings and multiple belts. 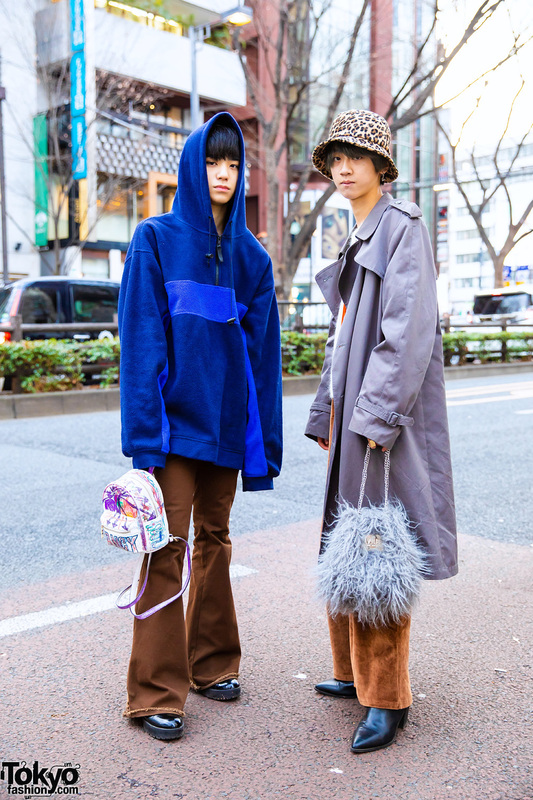 Harajuku duo sporting resale and printed fashion styles while out and about on the street.